A drug addict abused a friend’s trust in her when she used his bank card to steal £260 to feed her habit. 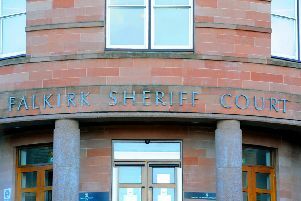 Appearing at Falkirk Sheriff Court last Thursday, Gray had admitted the theft she committed at the ATM in Newmarket Street, Falkirk on June 1, 2017. Ashley Smith, procurator fiscal depute, said: “The witness, who appears to have been a friend of the accused, took an overdose and ended up in Forth Valley Royal Hospital. While he was there the accused visited him. “He asked her to withdraw £100 from his bank account and bring it to him. He was aware the accused had a key to his address and gave her permission to enter to get his bank card and gave her the pin number. “She returned the card and the cash to the hospital. However, some time later the witness received his bank statement and discovered two unauthorised transactions for £200 and £60. Defence solicitor Gordon Addison said Gray used the cash to feed her drug addiction. Gray was placed on a supervised community payback order for 18 months with the condition she pay compensation of £130 to the victim at a rate of £5 per fortnight. She was also placed on a restriction of liberty order meaning she will have to remain in her 24 Bridge Crescent, Denny between the hours of 7pm and 7am for six months.